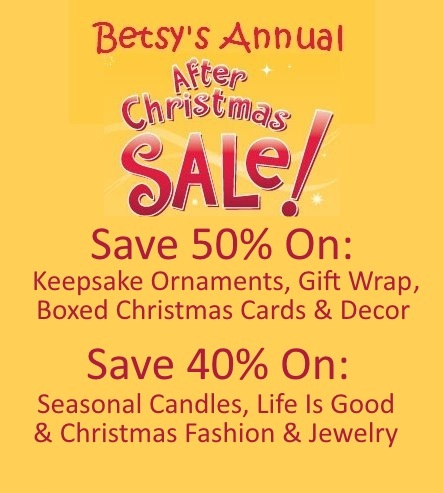 Save 50% On Keepsakes At Betsy’s After Christmas Sale! 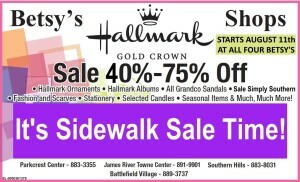 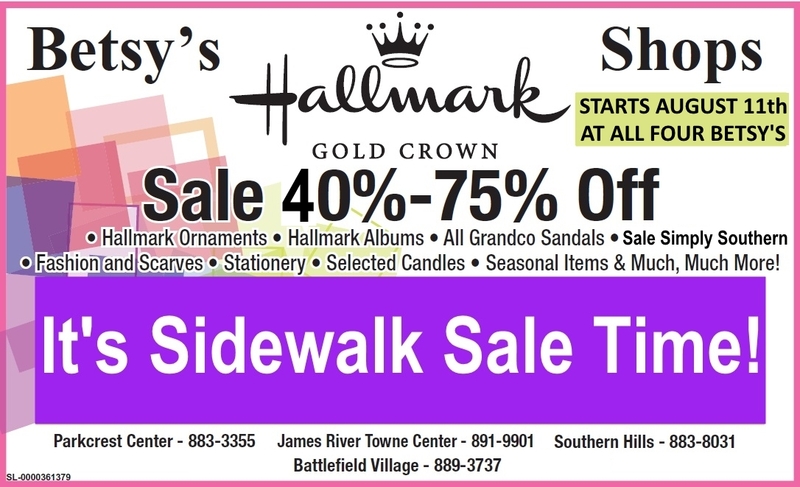 Betsy’s Annual Sidewalk Sale Is Now! 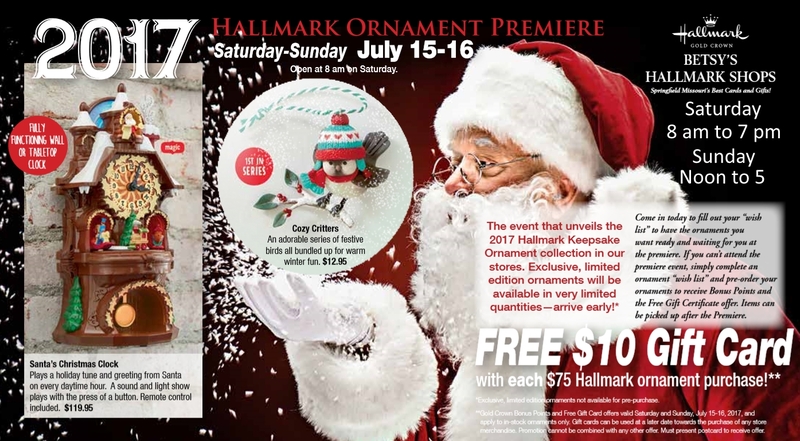 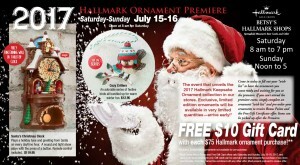 Ornament Premiere Weekend Starts July 15th! 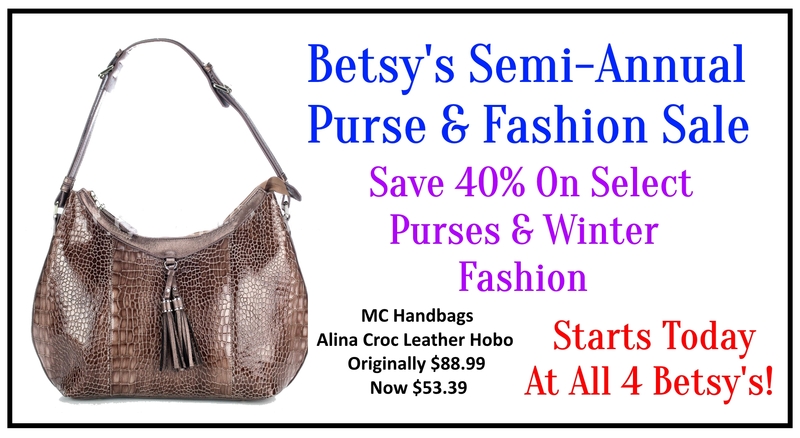 Fourth Of July Fashion Frenzy Weekend! 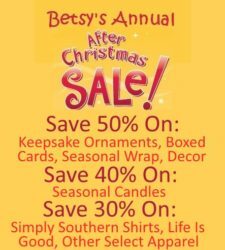 Betsy’s Spring 2017 Catalog Has Arrived! 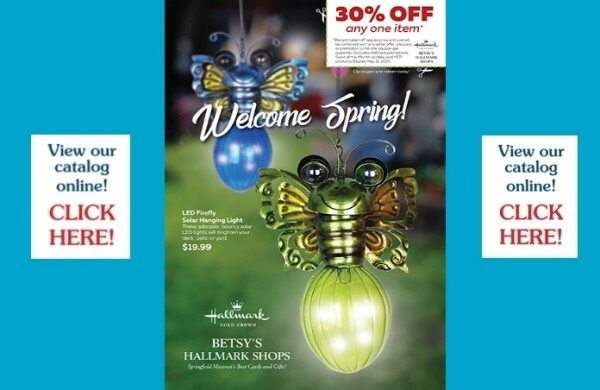 Click HERE to view our catalog online! 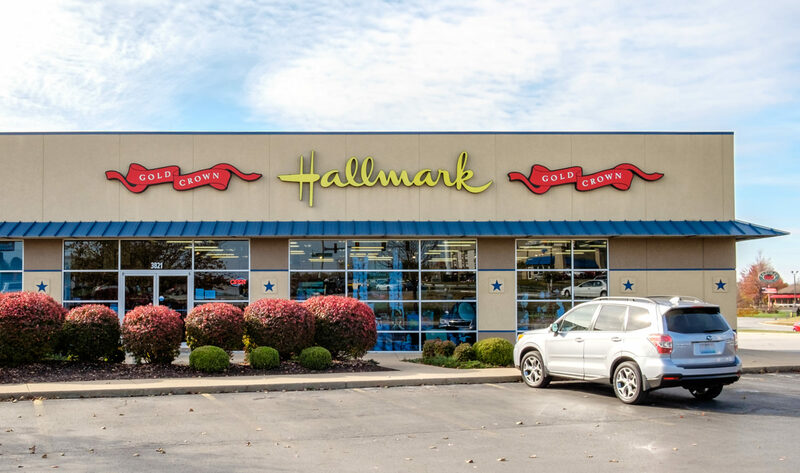 Betsy’s Hallmark Sells Yeti Coolers, Tumblers and More! 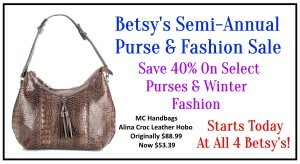 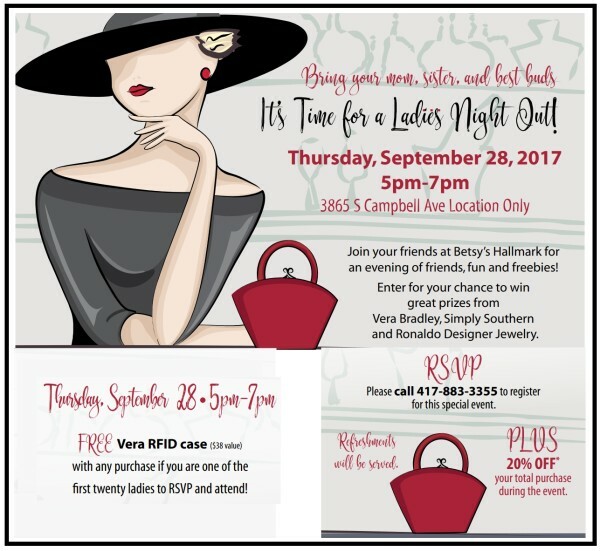 Winter Purse and Fashion Sale At Betsy’s! 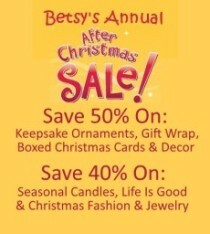 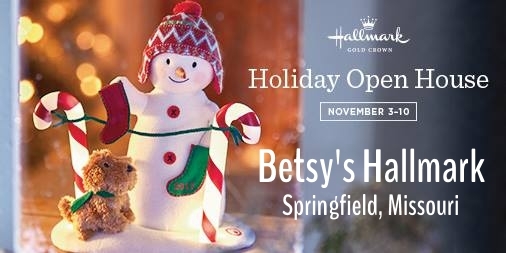 Betsy’s After Christmas Sale Starts Monday At 8:00 A.M.!